With the completion of the strategy implementation the organization looks forward to achieving the desired goals and objectives. It is necessary, however, to introduce the process of strategy evaluation and control in the early stages of implementation to see whether the strategy is successful or not and to carry out mid-course corrections wherever necessary. There are several reasons why a strategy may not lead to desired results. The external environment may not actually follow a trend as was expected at the time of planning the strategy. The internal changes within the organization such as the organizational systems consisting of structure, policies and procedures may not reflect harmony with the strategy. After a while, the top management of even middle level managers may find it difficult to exercise a substantial degree of control over operating systems. The unexpected moves of the competitors might create major gaps in the strategy. Thus the list of such factors will require a continuous evaluation and control of strategy. The evaluation of the strategy of an organization can be done qualitatively as well as quantitatively. The quantitative evaluation based on data and is possible through post facto analysis to detect whether the content of strategy is working or has worked. However, qualitative evaluation call also be done by addressing the question: Will it work? The qualitative evaluation can thus be done before activating plans of change. The qualitative evaluation and control or strategy is a real time process. The performance of strategy is monitored and corrective actions are taken. The basic aim of any organization is to achieve its goals. But to achieve the goals, the organization faces lots of hurdles. To overcome these hurdles, it is necessary for any organization to have a sound strategic control process. The word meaning of 'control' itself means 'to regulate' or 'to check'. This means that the top management needs to keep check on how well the strategy is being implemented to achieve the objectives of the organization. For example, if the business is not giving 1.esu1ts as expected, it may be necessary to increase promotional efforts, or revise the product policy, or as a last resort, the firm may pull out of a particular business. The first phase i.e., the evaluation criteria consists of selecting the success factors, developing measures and setting standards of the same and collecting information about actual performance. As discussed, the evaluation criteria can be qualitative as well as quantitative. Source: Adopted from Byars L. Lloyd, Strategic Management, Planning and Implementation Concepts and cases. To compare the organizations' performance to industry averages. Whether the strategy is internally consistent or not? Whether it is appropriate considering the available resources or not? How is the firm balancing its investments between high-risk and low-risk prospects? This shows that answers to all these qualitative questions are important to evaluate and control the strategy. There are many methods/techniques used in strategic control systems. Every organisation has its own way of using a particular technique according to the requirement of the organization. Most of the methods related to the strategic management are regarding the financial control systems. 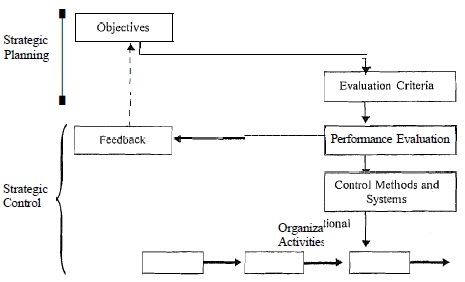 Figure-2 shows one of the effective systems of financial control which is universally accepted and is used by many organization throughout the world. This is system of financial control is known as DuPont's system of financial control. The other methods which are used most frequently are: Budgets, Audits, time-related control techniques like: PERT and CPM, Management by Objectives (MBO). We will discuss these methods in brief to develop an understanding of the Strategic Control process. Budgets: These are one of the most widely used control methods. Budget preparation is one of them. In simple terms budget means 'a plan of income and expenditure'. Budget usually deals with allocation of resources to different organizational units. Budget gives an idea about the future expenditures and income and at this juncture only the analysis of the performance of the company is done and corrective action call be taken up for flaws, if any. Since budget is actually a forecast, its revision would be required from time to time depending upon requirement of the company. It is one of the key elements in implementing the strategy successfully. Audits: This is another method of control. 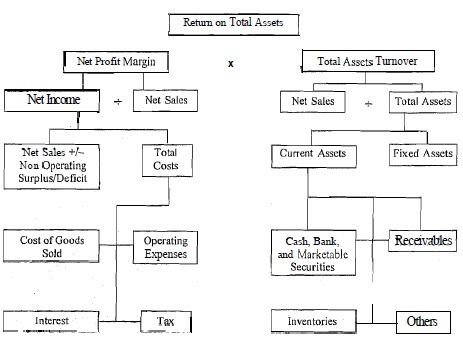 As per American Accounting Association (AAA), auditing is defined as "a systematic process of objectively obtaining and evaluating the evidence regarding assertion about economic actions and events to ascertain the degree of correspondence between those assertions and established criteria and communicating the results to interested users” (Byars, 1987). Audit functions come under three basic groups, viz. Independent auditors are professionals who provide their services to the organization. Government auditors: This precludes the agencies who perform government audits for organizations. Internal auditors are employees within the organization and perform their functions within. There is one more group known as Management Audit, which examines and evaluates the overall performance of all organization's management team. Audit teams assess the efficiency of various units in the organization and the control system of the organization. The information provided by them becomes crucial for the management. Nowadays most of the organization go in for management audits. This includes useful graphical and analytical methods aid these methods serve as a tool in the strategic control process. The most popular methods include Critical Path Method (CPM) and Programme Evaluation and Review Technique (PERT). These are graphical network depicting the different segments of work that must be completed within a given span of time to complete a project or task. These provide information for both project planning and control and is helpful for the management in allocating its limited resources. Individuals are evaluated and receive feedback on their performance. Individuals are evaluated and rewarded on the basis of their performance. This helps in keeping a check on working of employees in the organisation and helps achieve the goals of the organization. Apart from these control methods, other methods like: Management Information Systems (MIS) and Decision Support Systems (DSS) also call be included under the control method.